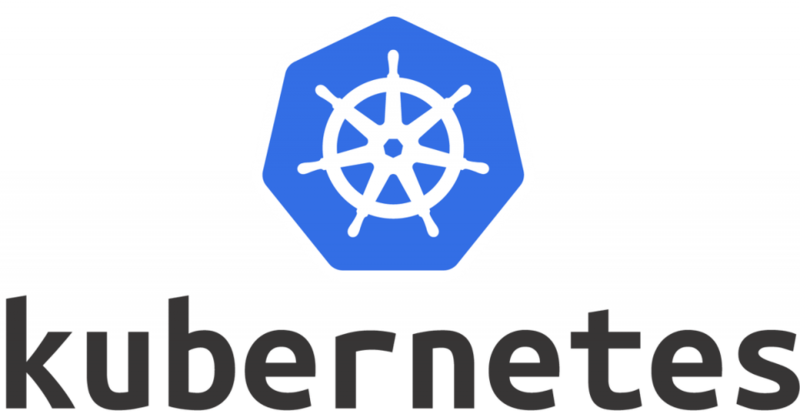 Hello and welcome back, this is a second part of article about configuring Kubernetes cluster on bare metal servers. Previously we configured a HA Kubernetes cluster with external etcd, multi-masters schema and load balance. Well, so far now it’s time to setup additional environment and utilities for making your cluster more useful and closest to production ready. In this part of article we’ll focusing on setting up the internal load balancer for our cluster services - it’ll be a MetalLB. Also we’ll install and configure a distributed file storage between our workers nodes. 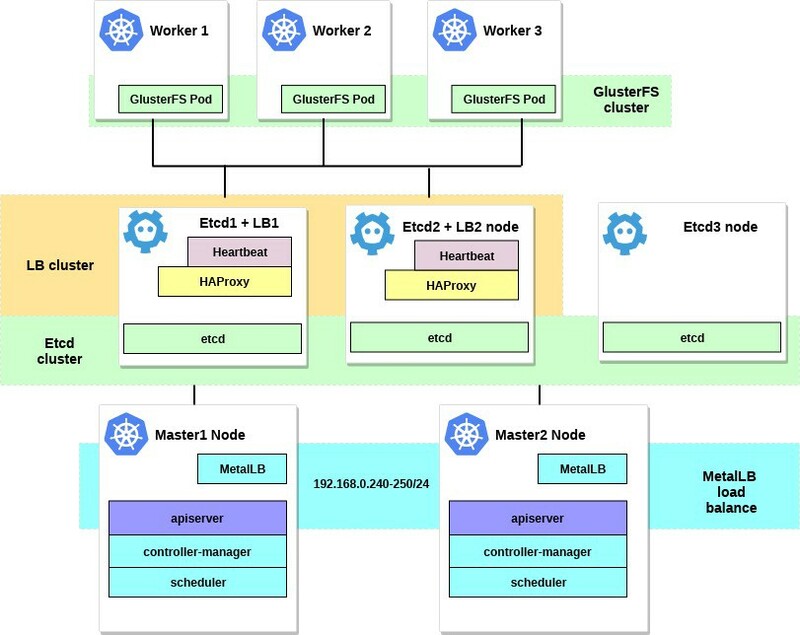 We’ll use a GlusterFS for the persistent volumes that will be available inside Kubernetes. 1. Configuring MetalLB as internal load balancer. Bare metal cluster operators are left with two lesser tools to bring user traffic into their clusters, “NodePort” and “externalIPs” services. Both of these options have significant downsides for production use, which makes bare metal clusters second class citizens in the Kubernetes ecosystem. MetalLB aims to redress this imbalance by offering a Network LB implementation that integrates with standard network equipment, so that external services on bare metal clusters also “just work” as much as possible. So, using this tool we can run our services under load balancer on our Kubernetes cluster, and many thanks to the MetalLB team for it. The configuration process are really easy and clear. Previously in example we have choose a 192.168.0.0/24 subnet for our cluster needs. Now we need to take some part of this subnet for our future load balancer. Now we need to configure MetalLB using configmap, we’ll use a Layer 2 configuration for this example. For more configurations variants please refer to the MetalLB documentation. From now we got our own local load balancer configured, let’s check how it works using some example of Nginx service. There was created a 3 Nginx pods as we specified in our deployment previously. Nginx service will send traffic to all of them with round robin balance schema. And also you can see the external IP that we got from our MetalLB LB. Now try curl to the 192.168.0.240 IP address and you will see the Nginx index.html page. Don’t forget to remove this test Nginx deployment and service also. OK, that all about MetalLB, now we can move on and configure the GlusterFS for the Kubernetes volumes. 2. Configuring GlusterFS with Heketi on workers nodes. In fact using Kubernetes cluster are impossible without using volumes inside it. As you know Pod’s are ephemeral and it means that they can be created and deleted at any time. And all data they have inside will be lost. So in real cluster you will need some distributed storage, to have availability of sharing configs and data between nodes and applications inside it. In Kubernetes you can use volumes, there is different variants of them so you can choose some for your need. In this example I wanna show a creating of a GlusterFS storage that we can use for any kind of internal applications as a persistent volumes. Previously I used for this a “system” installation of GlusterFS on all of the Kubernetes worker nodes and then I just created a hostPath type of volumes inside GlusterFS directories. But now we have a new nice Heketi tool. That sounds good, and this tool also will bring more closer our “bare metal” cluster, to the big cloud based Kubernetes clusters. After all you will be able to create PersistentVolumeClaims, that will automatically provisioned and more else. We can use some additional system hard disks for GlusterFS setup or just create some fake block devices. In this example I will use second way. Please mind that if you already have some loop0 device, then you need to choose any other number. Also I have spend some time, before I figured out why Heketi didn’t want to work properly. So to prevent any issues in future configurations first we need to make sure that we have loaded dm_thin_pool kernel module and install glusterfs-client package on all workers nodes. OK, now we must have a /home/gluster/image file and a /dev/loop0 device on our workers nodes as well. Don’t forget to create a systemd service that will run losetup and modprobe automatically on every boot of this servers. Now all preparation done and we ready to deploy GlusterFS and Heketi on our cluster. I’ll use this nice tutorial for it. Most commands we’ll run from our external control machine, and a very small of them we need to run from any master node inside our cluster. After the Bootstrap Heketi Service was created and running we need to move to one of our master node, there we’ll run few command because our control external node are not inside our cluster, so we can’t get any access to the running pods with internal cluster networking. Now let’s provide a Heketi with information about the GlusterFS cluster it is to manage. We provide this information via a topology file. Topology is a JSON manifest with the list of all nodes, disks, and clusters used by GlusterFS. NOTE: Make sure that hostnames/manage points to the exact name as shown under kubectl get nodes, and hostnames/storage is the IP address of the storage nodes. You’ll get a error if at this time your worker nodes will not have installed glusterfs-client package on it. You’ll get a error if at this time your worker nodes will not have installed glusterfs-client package on it.And we almost done, now the Heketi db will persist in a GlusterFS volume and will not reset every time the Heketi pod is restarted. To start using GlusterFS cluster with dynamic provisioning we need to create some StorageClass. Now we have a dynamically created GlusterFS volume that bound to a PersistentVolumeClaim, we can now use this claim in a any pod. That it, we just test our new persistent volume. Some useful commands to check your new GlusterFS cluster areheketi-cli cluster list and heketi-cli volume list.That you can run on your machine with heketi-cli installed, in this example it’s a master1 node. At this point we successfully configured an internal load balancer with file storage and our cluster now more close to the production. At next part of the article we’ll focusing on creating cluster monitoring and also will run test project on it to utilise all resources that we have configured. Stay in touch and good luck ! Sysadmin & DevOps Engineer in Internetvikings, Stockholm.